Join us on Saturday, January 18th at The Beat Kitchen (2100 W. Belmont Ave) for Indiana Territory, a celebration of beer, music and Indiana roots. $5 gets you in the door, access to an Upland Brewing Co. and Brooklyn Brewery hosted bar from 8 – 9pm and beer specials all night. Oh, and tunes too. Tones of tunes. Tunes from bands like Soft Speaker, Roach Beach, Sleeping Bag, Cooked Books and Scott McNiece. That's a damn good deal if you ask us. 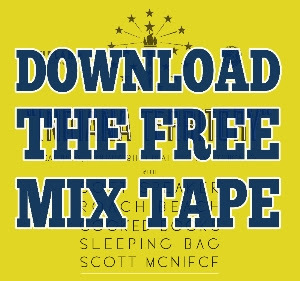 BONUS: download our free mix tape featuring a song from each artist!